NV Jacques Lassaigne Brut Cuvée Les Vignes de Montgueux, $38, Jenny & Francois Selections. Montgueux is located in the Côte des Bars region of Champagne, but is kind of an anomaly in the area. While the Côte des Bars is well known for Pinot Noir, Montgueux is famous for Chardonnay. These are chalky hills - hundreds of feet of chalk under the soil, and flecked with silex and other minerals. Montgueux wines are known for their mineral complexity - maybe that's why the area has been called the "Montrachet of Champagne." Lassaigne is a Champagne house whose growing and wine making techniques focus on purity and true expression of place. Natural yeasts are used for fermentation, very little sulfur is used, there is no filtration, very little fining, and there is very low or no dosage. I've tasted Lassaigne's wines about five times, twice at home with meals, and each time I've been startled by the purity and finesse. Lassaigne makes at least five wines, but I've seen only two of them here in New York: this Blanc de Blancs and also the 2000 vintage wine, a non-dosage wine, one bottle of which is presently napping in my little cellar. The Blanc de Blancs Cuvée Les Vignes de Montgueux is chalk, chalk, chalk upon opening. Incredible, really, how chalky the nose is. After about 15 minutes the nose opens up a bit and there are wafts of citrus and brioche. The palate is focused and intense, but also elegant and pretty with a clean chalky purity - you can almost feel the chalk on your tongue. The minerals are saline in character, but the palate feels lush and creamy - extended lees time maybe. This wine achieves a great balance between power and elegance, of lean mean mineral focus and lush mouth filling flavor. Such a pleasure to drink, to feel the aromas and flavors change in the glass, to have the aromas linger in the mouth so long after swallowing. A special Blanc de Blancs, worth every penny. We enjoyed it on its own, but I bet it would be ridiculous with oysters. Somewhat less fantastically, I bet it would be great with fresh crusty bread and unsalted butter, or even with a chalky fresh goat cheese. Brooklyn Uncorked is the annual showcase of Long Island wine and food that you should make a point of attending if you live in or near New York City. For about $50 you can sample almost every important wine that Long Island has to offer, meet and talk to the folks who make the wine, taste loads of interesting food, and mingle with the stars. Okay, no stars, unless you count Lenn or the location itself, BAM. I am not on anyone's bandwagon, nor am I trying to get you to like what I like. So please don't misconceive what I'm about to say as part of the natural wine dogma. These are just my personal thoughts, that's it. I had a problem with most of the reds I tasted. They were very polished, and dare I say - bland. When tasting Cabernet Franc (and Merlot, but I don't have enough context on that grape so I'm limiting this thought to Cab Franc), I found wines that smacked of vanilla and some sort of blackberry jam. Wines that if you removed the label, may not have been all that distinguishable from one another. Where is the soil? Where are the tannins, the grip? These are not high alcohol wines - most everything comes in at 13% or below. They are not overly sweet either. But it seemed to me that they had their soul, their uniqueness polished out of them, replaced with generically pleasing vanilla flavors. Is this due to the industrial yeasts wine makers are using? Are these wines being manufactured to suit the broader tastes in the market? I would guess that they are, which is disappointing to me in that there is obvious potential out there to make delicious "real" wine that expresses Long Island terroir. Just look at Shinn or Wolffer, for example (although I have no idea whether or not Wolffer uses natural yeasts for their Cab Franc). Again, this is not dogma, it's just my take on what I tasted. I think there are excellent red wines coming out of Long Island, but they are vastly outnumbered by wines whose real personalities have been veiled in vanilla and jammy blackberry. Just my .02 cents. Shinn Estate Vineyards and Wolffer Estate are the other producers whose wines I enjoyed pretty much the whole way through. Shinn's 2005 Estate Merlot is balanced and spicy, and just delicious. Enough to make you rethink Merlot. Shinn's 2007 Rosé is excellent, snappy and dry with good fruit and acidity. Didn't surprise me to learn that it was fermented using only natural yeasts. Wolffer's 2004 Cabernet Franc was, to my tastes, head and shoulders above the other Cab Francs. This one had real character, lots of mushroomy soil notes, hints of green vegetables, and plenty of ripe and perfumed fruit. But at $35, it's not a great bargain if your wine store also carries Loire Wines. I mean really - the utterly magnificent 2005 Filliatreau Saumur-Champigny Vieille Vignes costs $25. I have still not received a satisfactory explanation for the high prices on so many LI wines. And here I will admit that I don't understand the fuss over Paumanok wines, even their famous Chenin Blanc. I went back several times to get another taste, and then again after an hour, and I just didn't get it. Everyone else loves it. See, this is one the most fun things about wine - we all have our own experiences, and they're all true. Had the 2006 Château d'Oupia this weekend. Why would I drink anything else for under $10, in red wine anyway? A rhetorical question, of course. This is ridiculously good wine. Such a rich and elegant perfume, such nice fruit, great texture, excellent balance. Delicious wine! Under $10! Mean Joe Dressner brings this one in, and you might try it if you haven't already. Very sad, that André Iché, the man behind this and many other great wines died last year. Had the 2006 Domaine de la Fruitière VdP de la Loire Jardin de la Fruitière this weekend. Why would I drink anything else for under $10, in white wine anyway? A rhetorical question, of course. This is ridiculously good wine. Bright and airy nose of citrus and a bit of yeast, with time. Crisp and clean, this is simple, but very well done. Good citrus and apple fruit cut with great acidity and surprising length on the finish. Delicious wine! Under $10! JD Headrick brings this one in and you might try it if you haven't already. Had the 2006 Comptoirs de Magdala Côtes de Provence Escapade this weekend. This is a Mourvèdre blend made by the fellow who makes wine at Tour du Bon in Bandol, and it costs about $17. I loved this wine when at the Jenny & Francois tasting, but this is the second bottle (the first was an '05) I've had at home now that hasn't lived up to the tasting. Do they double-extra-special-decant at those tastings? Beauty pageant contestants put vaseline on their teeth for that special shiny smile - what is the wine tasting equivalent of that trick? The wine is nicely perfumed, but the mid-palate was kind of hollow. Pleasant iron minerality and good acidity, but something is just missing. Not the alcohol - over 14%. And I was so excited for this wine - I dry rubbed some lamb spare ribs and slow roasted them in the grill for about 4 hours. Should have gone with the Brouilly. I was wrong on the composition of two recent sparkling wines. Montbourgeau Crémant du Jura is not, in fact, 100% Chardonnay, as I cannot be proven to have stated. The Chambers Street Wines website says there is some Savagin in the blend. Also, my spokesman recently said that the NV Bedel Entre Ciel et Terre is a Blanc de Noirs, and my friends, it isn't. It is mostly Meunier, there is some Pinot Noir too, and about 10% of the blend is Chardonnay. So sue me. NV Cousin-Luduc Saumur Brut, $26, Jenny & Francois Selections. Olivier Cousin makes natural wines, working his family's property in the central part of the Loire Valley near the area defined as Coteaux du Layon. He farms without chemicals, ferments with only indigenous yeast, and adds nothing whatsoever to the juice - no sulfites, no enzymes or other chemicals, and no sugar. Cousin cultivates Gamay, Grolleau, Sauvignon Blanc, Chardonnay, Cabernet Franc, and Chenin Blanc - there is something for everyone in this portfolio. The wines can put some people off at first, as they showcase the spectrum of aromas and flavors that occur when fermenting grape juice into wine. They can be funky and a bit rustic, but they evolve beautifully in the glass and in the cellar, and offer a clean and pure expression of the terroir that is Layon. This sparkling wine is no exception. I first had it at the Jenny & Francois tasting back in March and liked it very much. It wasn't until buying it retail that I noticed its closure - a bottle cap, no different from what you'd find on a beer. Shouldn't that indicate a low pressure sparkling wine? As it turns out, yes. There is little to no mousse, a very light bead, and a barely effervescent mouth feel. But sparkling it is, and it's an interesting style. This wine really shines aromatically with fleshy peach and yellow fruits, nuts n' honey, and an underlying streak of funky animal. The palate is more on the fruit side, less animal, and there is a pleasing and faint yeastiness. After a half hour of air time the wine really fleshed out, the fresh stone fruit on the palate mingling beautifully with the hints of bread and soil. My good friends Deetrane and his wife P-trane just celebrated their 5th wedding anniversary with a weekend in the North Fork of Long Island. Dee and P were happily surprised at how much they liked the wines. Deetrane still says to me each time I see him now "Do you realize that this is our own BACKYARD?!?" I'm pretty sure that he wants to go back. I know that he came home with at least two cases of wine. Anyway, the following is a bit about the weekend from Deetrane himself. He's a vastly entertaining fellow - don't hesitate to check out his older guest posts. It's been a while since my last post, and the Brooklynguy has been hounding me to pound one out, so here I am. No, I'm sorry, I don't have any tales to tell about Russian wine-gangsters or the Schlitz-shchlurping NYPD vice squad. Rather, I have a lovely story to tell about an eye-opening visit to… The North Fork of Long Island. For our 5th anniversary weekend, P-trane and I arrived by car from NYC and following Lenn's suggestion, checked into the Harvest Inn B&B in Peconic. It's a sprawling, 5 year-old replica of a big old farmhouse with wide plank pine floors, super high ceilings and lots of fireplaces. The owners, Darolyn and Chris, welcomed us with gusto and a chilled bottle of chardonnay. Overall, I was astounded at the consistency and quality of the wines we tasted, which were those of The Lenz, Paumanok, Pellegrini, Peconic Bay and Borghese. These wines have a determinedly old-world feel, in which fruit plays heavily but not excessively, alcohol levels are on the low side (12-13%), and words like integration, balance and harmony come to mind. Given my partiality for Northern Italian, Spanish and Burgundy wines, I felt like I was being reunited with a long-lost relative. There was a certain familiarity combined with fascination of the new. The high point of the weekend was a vigorous personal tour of the vineyards and winery at Peconic Bay by wine maker Greg Gove. Never has anyone – except maybe Maria de López de Heredia – been so generous and enthusiastic about delving so deeply into their craft with a complete stranger. The low point, such as it was, was probably the wine tasting on Saturday evening at the Harvest Inn. Owner and chef Chris, who just that morning had been a total teddy bear serving his delicious apple-cinnamon pancakes, became an utter tyrant while pouring a fabulous 2002 Peconic Bay Cabernet Sauvignon and an equally impressive 2005 Reisling. Imagine you are back in 4th grade gym class, and the teacher is warning you that you will be ejected from the class if you dribble that basketball before he is done lecturing on the physics of a jump shot. And you're thinking, "geez, I just wanna play ball." We were instructed not only when to drink, but how to swirl, how to hold the class, and what to think about while swallowing. Notwithstanding, the wine was superb and made us that much more excited for our private tour the following day. We made culinary stops at The North Fork Table and Inn, and Jedediah Hawkins' Inn , which seem to occupy the top two restaurant slots by reputation. Both were memorable for their fresh, local ingredients, but despite raves from the press, locals, and our fellow guests at the inn, the only truly distinctive aspect of meals at those places was the honey-tasting we had for dessert at Jed's, consisting of four markedly different local honeys. In fact, the best meal I had was at The Vine, a wine bar in Greenport run by investment banker turned sommelier Joe Watson. Either he was a really terrible banker or a really great one, both of which could explain his apparent retirement at the age of 32. I suspect it was the latter. The first thing I saw on the ample wines-by-the-glass list was a 1988 López de Heredia Vina Tondonia, which I instantly ordered for $20 because of the nostalgic pull from my honeymoon trip, previously described here in my last guest post. Imagine my shock and embarrassment when Joe revealed that he, too, had also gotten the tapas treatment by Maria when he was in Rioja! At least Joe didn't get to raid the library with the gnarly moldy vine-rope. I had a great time at Alice Feiring's book party in Manhattan the other night. A pleasure to celebrate her achievement with her and a load of various wine people, writers, at least one actor (Dion Graham of The Wire!) and publishing types. The wine was plentiful and delicious and I spoke with lots of interesting people, including Jenny Lefcourt and Kate Szulc, Joe Dressner, David Lillie, and Terry Hughes. And I cornered Dion Graham for a while also. My favorite Joe Dressner quote from the evening: "I used to kidnap heiresses when I was young." I may have changed the course of the Mondosapore blog, and possibly of Terry's life's work. You see, while we were talking about career changes and all sorts of other things, I spilled most of my glass of 2005 Louvetrie Muscadet Fief du Breil all over him. He stood there open mouthed, blinking, silent. I was worried that our new friendship was abruptly over, crushed by the same rocky minerals that so delicately infuse this young wine, and that now saturated Terry's sharp green sweater. Not at all the case. Actually, Terry seemed delighted, proclaimed himself intoxicated by the aromas, and declared that Mondosapore will now focus exclusively on wines of the Loire Valley, particularly Muscadet. This is an exciting development, as you know that I love these wines. So far I have yet to notice the changes on Terry's site, but I am sure they're coming. Alice was really glowing - lots of good vibes coming at her from all directions. And she busted out a slamming dress for the occasion. I am now the proud owner of a signed copy of her new book, which promises to be a great read. NV Pierre Gimonnet Champagne Blanc de Blancs 1er Cru, $36 (but it's about $42 now, as they've all gone up in price), Terry Theise Selections. Disgorged on September 21, 2007, as the label helpfully explains. Gimonnet's vines are located in the Côte de Blancs, some in the Grand Cru villages of Chouilly and Cramant, others in the 1er Cru village of Cuis. These Cru designations are meaningful, but they obviously don't tell the whole story, just like in Burgundy. There are top flight producers, including big houses like Bollinger, who buy grapes from 1er Cru Cuis growers, but sell their wines for Grand Cru dough. Gimonnet is a producer whose wines were among the first Grower Champagnes I experienced. This wine in particular sold me me on the beauty and the individuality of Grower wines. This is a great wine that is just so easy to love, a wine to pour you in-laws if they haven't yet tasted Grower Champagne. I hadn't had a bottle in about 6 months and we decided that it was time. So does this mean I have a problem, drinking warm and flat Champagne from my wife's glass at 6:45 AM on a Saturday while preparing my daughter's breakfast? It was just a sip or two. Amidst the sea of simple and relatively uninteresting rosé wines that hit the market every year right around now, there are a few to get genuinely excited about. There are the beautiful and age worthy rosés from Bandol and other areas in Provence. There are Sancerre rosés made from Pinot Noir, also age worthy wines in the hands of either of the Cotat brothers, for example. There is (was?) the gorgeous rosé of Pinot D'Aunis by Eric Nicolas at Domaine de Bellivière in the nothern Loire Valley. There are others too, of course, but let me get to the point. In general, I think that although most rosé is simple wine that relies on sweetness, color, and the sunny and beautiful environment in which you will consume them in order to bring pleasure, there are some serious and beautiful rosé wines out there. Some of them actually show best when they're at least 10 years old. That's about 75 in human years, by the way. One of them is made by López de Heredia, the amazing and traditional producer in Rioja. We were inspired last year by the beautiful 1995, and decided that it will become a ritual of spring each year to open a bottle of old López de Heredia rosé. 1997 López de Heredia Rioja Rosado Viña Tondonia, $24, Polaner Selections. A blend of 20% Tempranillo, 60% Garnacho (Grenache), and 20% Viura (a traditional white grape of Rioja). This rosé was a bit muted when first opened. A little air brought out the orange blossoms on the nose, and surprisingly intense minerals, Savennieres like minerality initially. Very clean and pure in the mouth, very satisfying. There was a mingling of pure peach fruit with something like undergrowth, and a slightly oily texture with a touch of sherry-like maturity, but just a touch. And the lingering mouth aromas are very mineral. This is complex and delicious wine. On day two it blossomed and was all the more floral, now with something like an escargot butter mouth aroma, very heady and rich. We enjoyed the wine with a special treat - a plate of Jamón Ibérico. My first time tasting this, the gossamer slices of the prized pata negra, the black pigs who eat acorns and then generously, if reluctantly, offer their hindquarters to gourmets all over the world. And although this ham was indeed utterly delicious, at $85 a pound I am officially removing myself from the Jamón Ibérico market. I got 6 slices, friends, and it set me back $18. I think I would have enjoyed Speck or another quality ham just as much. I read a comment about this wine by someone named Slaton on Cellar Tracker and it really hit home for me: he suggested that the richness of the wine would make it a good pairing with crab. As soon as I read that my mouth began to water. What a phenomenal meal that would be, simply boiled crabs with salty butter, bread, and this wine. Then maybe a salad, or maybe instead just grab your dining partner and off to bed. I'm a big fan of the 2006 vintage in Beaujolais. What I love about the '06s so far, aside from their sheer deliciousness, is their transparency - they are so clearly and unmistakably Beaujolais. The more experienced among us (not me in this case) would probably take this a step further and say "that wine is unmistakably Morgon," or Fleurie, or Chiroubles, or what have you. I don't know enough to be able to say things like that. But when I say unmistakably Beaujolais, I mean that the wines are ripe and vibrant with fruit, spicy, there is a fleeting sense of soil underneath everything, the acidity is refreshing but not the most prominent aspect of the wine, and there is that something, that unique Beaujolais aroma and flavor, that young, loaded with potential energy, just graduated from college, about to take over the world quality. Hard to describe - taste them yourself and you'll see. 2006 Domaine du Vissoux Beaujolais Vieilles Vignes Cuvée Traditionnelle, $15, Weygandt-Metzler. Lean, taught, racy. Ripe fruit competes with lively acidity and spicy mouth aromas. This is, to me, the essence of Beaujolais, and it's a pleasure to drink. Although it's certainly lovely on its own, a meal induces this beauty to slip into something more comfortable. 2006 Terres Dorées (Jean-Paul Brun) Beaujolais Cuvée l'Ancien Vieilles Vignes, $15, Louis/Dressner selections. What I'm about to say might make some of you angry, although that is definitely not my aim. I actually prefer this wine to the 2005. YES, it's true - this wine is so completely wonderful, it's hard to describe by typing keys on a computer. I know you love the 05, and I liked it too, but it was almost too intense for me. This is lean, pure, quiet and soft Beaujolais beauty. But it's powerful too, like one of those skinny Sumo wrestlers. Fruity and floral with lip smacking acidity, there is excellent length, and it's a bit spicy. It feels energetic in the mouth. It goes with anything - I had it recently with spaghetti with clam sauce and everyone was happy. Maybe in its prime drinking window right now, too. And get it while you can, because only a third of Brun's 2007's can be labeled as Beaujolais, according to the wise folks at the French INAO. And changing the name of the wine will most assuredly change your perception of it's flavor and quality. 2006 Guy Breton Morgon Vieille Vignes, $21, Kermit Lynch Imports. My first Breton, one of the 'Gang of Four' natural wine producers of Morgon. This one, to me, was a case of too natural for its own good. I kept waiting for the brett to blow off, but it never did, really. There was some pretty red berry fruit and baking spices, but not a whole lot else going on other than the funk. Not something I would re-buy. 2006 George Descombes Régnié, $18, Louis/Dressner Selections. 6 months ago in my end-of-the-year 2007 best-of post I said this was my favorite Cru Beaujolais of the year. Most '06s hadn't been released at that point, but I'll stand by calling this a fantastic bottle of wine. Ripe red and black fruit, flowers, fine grained tannins, this is deep and excellent wine that improves with time in the glass. There is more than meets the eye to this one. 2006 George Descombes Chiroubles Vieilles Vignes, $28, Louis/Dressner Selections. Yes, folks, we are in the age of $28 Beaujolais. In the case of the top bottles, anyway. Lyle loves this wine. I'm not sure yet where I stand on this. It's clearly delicious wine, with deeply pitched and well structured fruit, many layers to reveal. Even on the nose, the wine has layers of complexity. In a way it feels more like drinking Burgundy than Beaujolais. I'm not sure that's what I want when I drink Beaujolais. I need to drink another bottle of this, maybe decant next time. NV Domaine de Montbourgeau Crémant du Jura, $18, Rosenthal Importers. This wine is great news for all of us - a top quality sparkling wine for under $20. Really a great one, too. Located in the small village of L'Etoile, Domaine de Montbourgeau is known for still whites. There is a long lived vin jaune and three whites made in the "sous voile," or under-the veil style, the oxidized style of whites that the Jura is famous for. One of these, the all-Chardonnay Montbourgeau L'Etoile costs about $20 and is a great way to sample the oxidized style of Jura without breaking the bank. Anyway...This sparkling wine is 100% Chardonnay and it's just delicious. Fresh and vibrant, incisive with snappy citrus acidity, light and elegant mouth feel with a smooth in texture, this wine will exceed your expectations at this price point. It doesn't have the chalky mineral complexity of a truly fine Blanc de Blancs, but if you want Champagne, then buy Champagne. If you want a great sparkling wine - interesting, elegant, food-friendly Blanc de Blancs - this is one to buy. Works well as an aperitif or with all kinds of food (I had it with steak once and that worked). This time we had a glass while gabbing about the day, and then enjoyed the rest with a stew of French lentils, russet potatoes, and slab bacon. It cut through the rich food like a hot knife through butter. The best news - if you live in New York, this wine is easy to find right now. Chambers Street and Astor have it, so do Prospect Wines and Slope Cellars in Brooklyn. I'm sure you'll find it wherever you buy other Rosenthal wines. If you're interested, get some now before it's gone - this wines are not made in huge quantities. On Monday I posted a list of wines that cost $14 or less, about $15 including NYS tax. These wines come recommended by buyers at some of my favorite stores in Brooklyn and Manhattan. Several people wrote comments about wines on the list and in some cases offered helpful recommendations of their own. I drank a few of these wines with dinner in recent weeks, and I'll share a few thoughts with you. First, I think that it is absolutely possible to find great wine at this price point. I'm pretty narrow in my focus - I drink mostly French wine, and even with the bad Euro, I find very good wine for $14 or less. I think that the most important element at this price point is balance. Even if the wine is not all that complex, if the fruit is not as ripe or lush as you'd like, if there is good balance between the fruit, the acidity, and the alcohol - that makes for enjoyable drinking. This might sound simple, and fine, maybe it is. But there is something to this: if you can find an inexpensive wine with good balance, one that you like to drink on its own or enjoy with various foods...worth its weight in Euros. For example, consider one of the white wines recommended by Ben Hagan at Slope Cellars, the 2006 Jardin de la Fruitière. A 50-50 blend of Chardonnay and Melon de Bourgogne (the Muscadet grape), this wine is fresh and crisp, lively and well balanced. The fruit is ripe, the alcohol is listed at 12%, the wine is just delicious. And it costs $10. It doesn't have the nuance or minerality of good bottle of Muscadet, or the layers of flavor in a better wine from the Mâconnais. But it's $10, and it's a well balanced and interesting bottle of wine. Contrast this with another of Ben's recommendations, the 2006 Pichierri Primativo del Tarantino Vermiglio. This wine had fantastic wild cherry fruit, no mistaking that. But the acidity was out of balance, quite shrill and intense, and made the wine difficult to drink on its own. it's all about the balance, baby! I love the 2006 Cassagnoles wine from the southwest of France, a rich, zesty, and well balanced blend of Gros Manseng, Ugni Blanc, and Colombard. Along with the Jardin de la Fruitière I would say that these wines at $10 are my favorite value whites of the season. The Caves de Saumur Les Pouches is also a very nice wine for the money. It's the drier and more mineral of the two Caves de Saumur wines recommended, and clocks in at nice and low12% alcohol. It's a balanced wine with simple but pleasing green apple and citrus flavors, and with enough air time, there is some complexity to the aromas. I'd be quite happy if a glass of this were available at a restaurant. The Kuentz-Bas Alsace Blanc is good too. It's a neat blend of mostly Sylvaner, but there is Riesling, Pinot Blanc, and even a bit of Muscat in there too. Not at all sweet, quite mineral, very good stuff, not reservations on this one. The Luneau-Papin is a good Muscadet, but I can't help but compare it to the L D'Or, which is just a better wine. I'm not sure that I prefer this one to the Pepière Muscadet, which costs a few bucks less too. I've tasted far fewer of the reds that were recommended. The Chateau la Rame is nice wine, clean, good fruit, a sense of soil, compliments food. The Domaine St Vincent Saumur-Champigny is not a wine that I reach for when thinking about value priced Loire reds, but it's certainly decent wine. The D’Estezargues Cotes du Rhone is a lovely wine. 100% Cinsault, which you don't often see, this wine combines plummy fruit with a wild brambly sensation, like walking through the forest. This is one that benefits from air time - a decant might be good. I'm not trying to beat a dead horse here, but my favorite under $15 beauty of the season is the fantastic 2005 Clos Siguier Cahors, $12, (Jenny & Francois). This is very serious wine, requiring a good decant if you're going to get all of the aromas and flavors to blossom. For several months now the Euro is comfortably in the 1.5 range. Yup, it costs over $1.50 to buy one Euro. If you're in France, for example, and you exchange $100, you walk away with only 65 Euro, and that's before commissions and fees. This isn't going to change tomorrow or next month - we're going to live with this for a while I bet. As both Obama and Clinton can tell you, things are tough for the average American. Gas costs well over $3 a gallon (although we still pay less at the pump than people in almost every other industrialized country), food costs are rising, there are fewer jobs that are paying less overtime, people's homes are worth less now than they were a year ago, et cetera et cetera et cetera. We are in a recession. I suppose there are people in the Bush administration, or other comparable wack jobs out there, who would try to tell you otherwise, but I think it's pretty much accepted these days. And it will probably get worse before it gets better. When times get tough it's nice to find ways to cut back on spending, and I'm guessing that wine is a good place to reduce spending for many of us. It is for me, anyway. I'm not going to stop buying a nice bottle of Champagne every two weeks, but I sure will reduce my everyday bottle cost. I want to keep it below $15 for a while (it was creeping towards $20). But I want to drink good wine on an everyday basis. What's good right now for less than $15? Normally this would be easy, but with the bad dollar wine that cost $13 a year ago costs $16 or more now. Yeah, American wine hasn't gone up, but I have yet to taste the under $15 American wine that I want to go out and buy for my own home. I decided to ask for recommendations from some of my favorite wine buyers at my favorite wine stores, and to share those recommendations with you. I've tasted a few of the wines and I'm going to share my notes over the course of a few posts because cramming it all into this post, along with my comments, well that would be the longest post in the history of blogging. Let me first say this - the point of this is to share ideas about high quality inexpensive wine, not to bicker about who makes the best wine. So please, share your thoughts and make suggestions, we'd all appreciate it. Who out there isn't looking for good wine under $15? Here are the rules for this game: a wine cannot cost more than $15 to be eligible. That includes tax, which in NYC is 8.35% or something. I figured that recession wines should cost no more than $15 period - that's it. No case discount necessary to get to $15. Hand them a twenty, get 5 bucks back - simple. So the most expensive sticker price on these wines is actually $14, as with tax that comes to $15.14. So there. And without further ado, here is a list of recession wines. 2006 Caves de Saumur Saumur Les Pouches, $13, LVDH Imports (100% Chenin Blanc). 2006 Caves de Saumur Saumur Les Epinots, $13, LVDH Imports. 2006 Jardin de la Fruitiere, $10, VdP Loire Atlantique, JD Headrick Selections (50-50 Chardonnay and Melon de Bourgogne). 2005 Kuentz-Bas Alsace Blanc, $12, Kermit Lynch Imports (Blend of, in order, Sylvaner, Riesling and Pinot Blanc, Muscat). 2005 Luneau-Papin Muscadet de Sevre et Maine sur lie Clos des Allees Vieille Vignes, $14, Louis/Dressner Selections. 2005 Chateau la Rame, $13, Rosenthal Imports (Cabernet Sauvignon and Merlot). 2006 Domaine St Vincent Saumur-Champigny Les Trezillieres, $12, Winebow Imports. 2006 Pichierri Primativo del Tarantino Vermiglio, $14, Tricana Imports (Primitivo). 2006 D’Estezargues Cotes du Rhone Les Grandes Vignes, $13, Jenny & Francois Selections (100% Cinsault!). 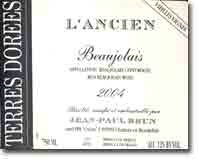 2006 Jean-Marc Burgaud Beaujolais Villages Chateau de Thulon, $14, Langdon Shiverick Imports. 2006 Domaine des Cassagnoles Cuvee Gros Manseng, $12, Weygandt Metzler Imports. 2007 Hofer Gruner Veltliner Trocken (1 liter) $13, Skurnik Imports. 2006 Pannonhalmi Apatsagi Pinceszet Traminer, $14, Skurnik Imports (Hungarian Gewurtztraminer). 2007 Muga Rioja Rose, $14, Tempranillo, Inc Imports. 2006 Vale da Torre Bin 717 Alentejano, Portugal, $9, Aidil Wines & Liquors Imports (Aragones and Trincadeira). 2006 La Sera Barbera “Il Falo,” Piedmonte, $11, Matt Brothers Imports. 2005 Domaine D’Aupilhac Coteaux du Languedoc Montpeyroux, $13, Kermit Lynch Imports. 2006 Bodegas Nekeas El Chaparral de Vega Sindoa, $14, Tempranillo, Inc Imports (old vines Grenache). 2007 Hofer Gruner Veltliner Trocken, (1 liter), $11, Skurnik Imports. 2006 Graf Hardegg Veltlinsky, $12, Frederick Wildman Imports (Gruner Veltliner). 2006 Clos Roche Blanche Touraine Pif, $14, Louis/Dressner Selections (blend of old vines Malbec, young Cabernet Franc). 2004 Sandro Fay Rosso del Valtellina, $13.50, Omni Wines importer (100% Nebbiolo). 2005 Kuentz-Bas Alsace Blanc, $11, Kermit Lynch Imports. 2006 Domaine Labbe Vin de Savoie Abymes, $10, Skurnik Imports (100% Jaquere). 2004 Sella & Mosca Cannonau di Sardigna Reserve, $12, Palm Bay Imports (100% Grenache). 2006 Domaine Ricard Le Clos de Variou, $10, Fleet Street Imports (100% Gamay). NV Françoise Bedel Champagne Brut Entre Ciel et Terre, $54, JD Headrick Selections. By the way, like my new camera? Been a long time coming, but I finally got a new one. Say goodbye to all of those blurry old closeups. Anyway, this is another one from Alice's list. Sorry to wax euphoric for the second time in a row, but there is no other option. I thought this wine was a Blanc de Noirs, but now I'm not so sure. I'll clear this up as soon as possible. Whatever the grapes, it's utterly beautiful. I'm going to try to describe it, but a lot of the beauty was texture, and the way the wine spread out in the mouth, the harmony of all of the flavors. I'm still learning to describe Champagne. Not all of us can be Peter Liem, buddy. Bedel is a grower/producer in the Marne Valley who converted to biodynamics in 1999. She makes several wines, but this is the top wine. I'm guessing that Entre Ciel et Terre (between sky and earth) refers to the purity of wine making methods. Minimal intervention, organic farming - this wine is the product of good soils and weather. And it's amazing wine, honestly. I kept coming back to write more notes over the course of the evening. Initially a very chalky nose, very penetrating. Juicy red fruit coated in chalky minerals, floral mouth aromas after swallowing. More air time allowed the wine to put on weight. It really spreads out in the mouth, but remains incredibly focused, coating the palate with rich deep fruit, chiseled minerals, and soft upper register floral aromas. There is an intensity that lingers long after swallowing. Over the last glass I came back to write that the wine is a study in harmony. The fruit, the minerals, the flowers, the acidity, the feeling of the wine in the mouth - all of these things work together perfectly and the overall effect is quite beautiful. The wine is like perfectly warmed up muscles, loose, supple, powerful, capable of exertion or restraint. Just gorgeous wine and a great value at this price. It wasn't easy to find, but most well worth the effort. I would give this the highest of recommendations - I've not had a finer Blanc de Noirs, and that include the Bouchard from two weeks ago. And by the way, BrooklynLady felt that this is the best bottle we've had.